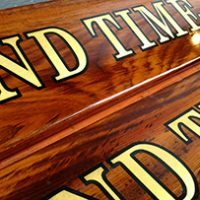 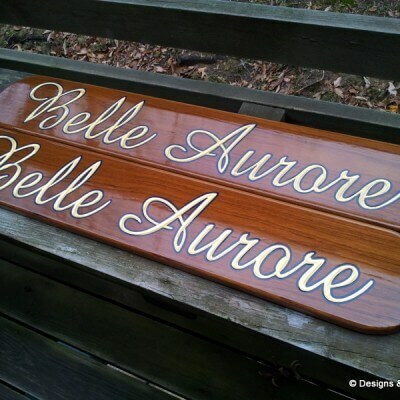 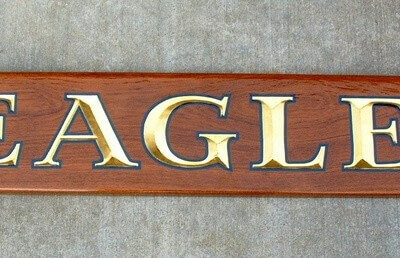 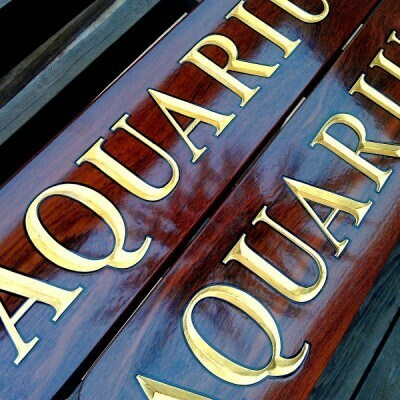 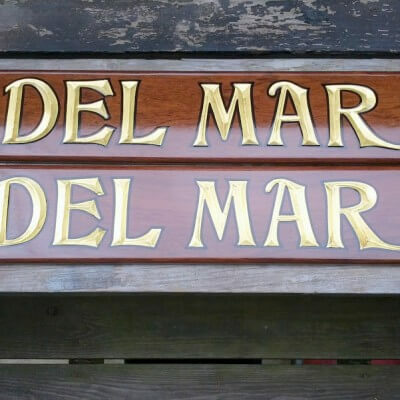 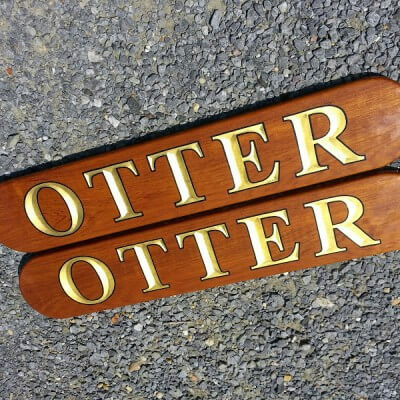 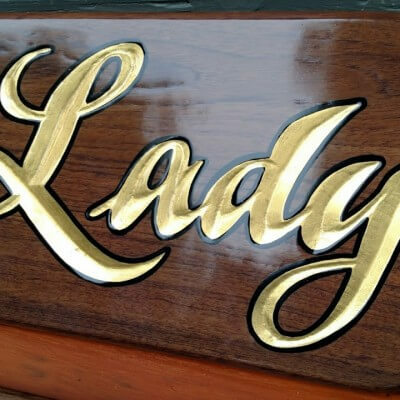 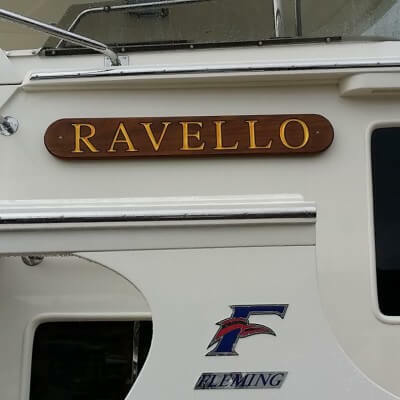 Teak Quarterboards with gold leaf letters, made by Designs & Signs in Edgewater, Maryland. 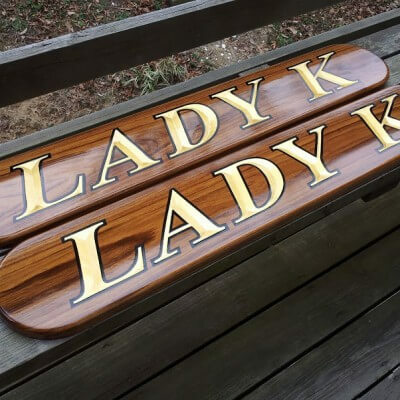 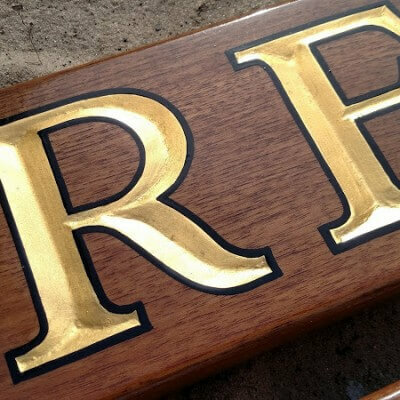 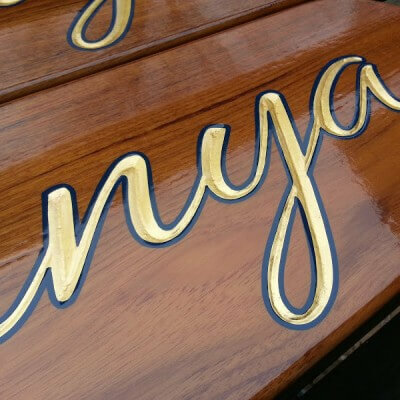 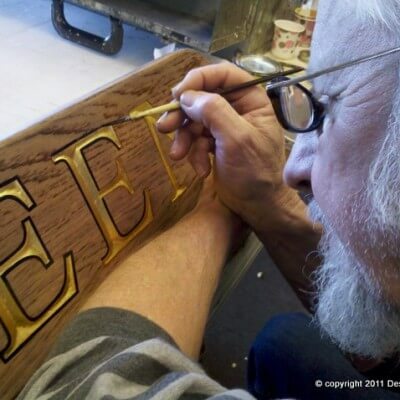 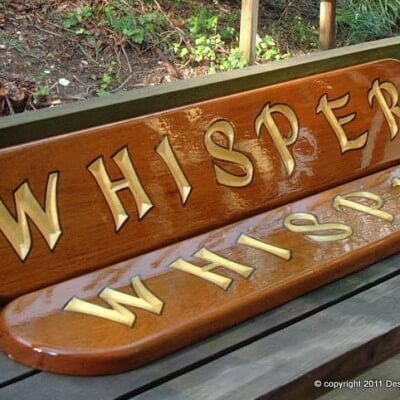 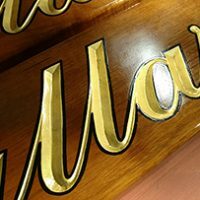 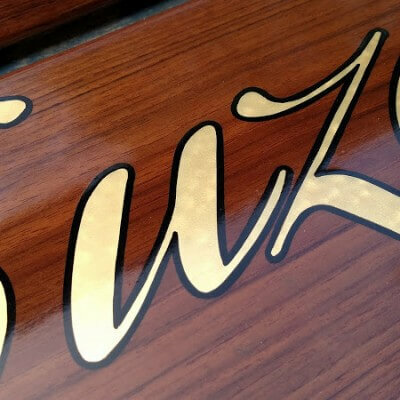 Hand carved teak quarterboards with gilded letters and a hand painted outline. 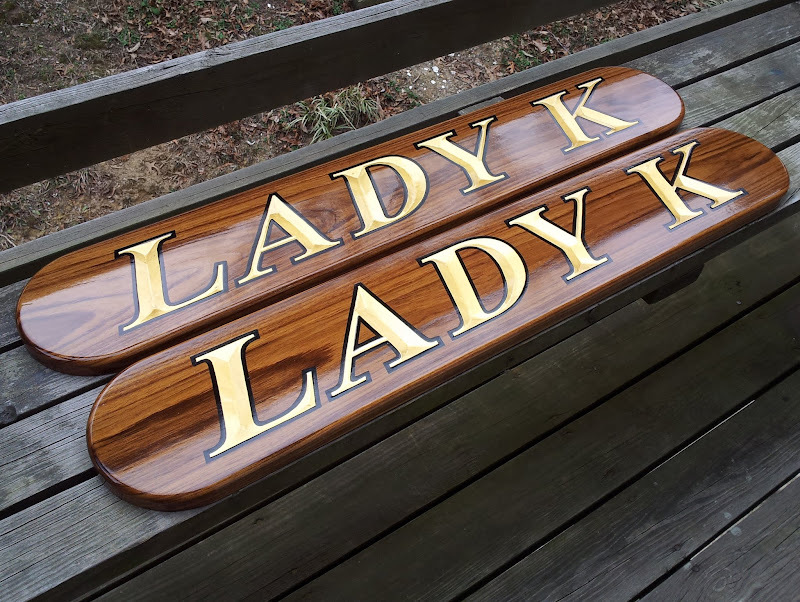 All of our custom quarterboards are fashioned by hand from start to finish, and protected by a water base ultraviolet protective clear coat. 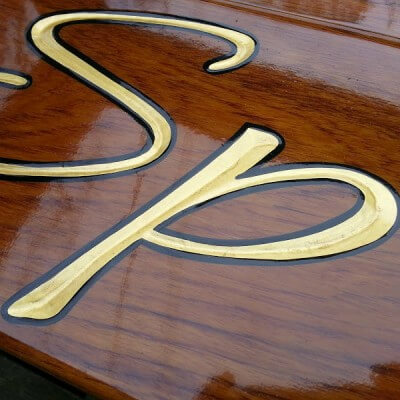 Our clear coat last much longer than traditional varnish and does not require regular maintenance. 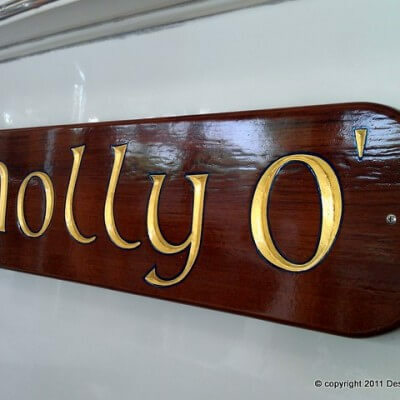 If you’re looking to outfit your yacht with handsome hand made quarterboards, please call us or contact us by email for a quote.